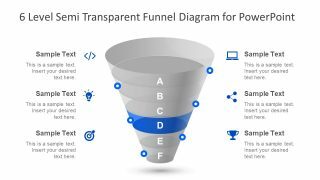 The 6 Level Semi Transparent Funnel Diagram for PowerPoint is a presentation of six stage segments. 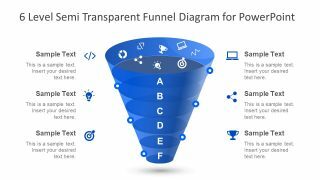 Funnel charts are the widely use diagrams to graphically demonstrate sales and marketing strategy and their concepts. 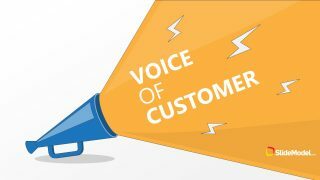 But the use is not limited to business and sales only. 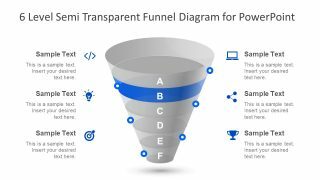 Funnel diagrams can display an effective transformation of data into valuable information in a few simple steps. The 6 levels of semi-transparent diagram contain bold alphabets as a description of each segment. These are the editable text boxes where users can either replace the alphabets with keywords or clipart icons. Here, the icons can visually present the headings. 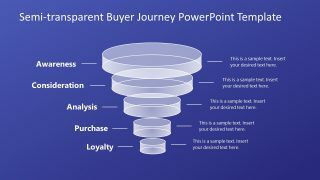 PowerPoint diagram of 6 level semi-transparent funnel can make an ideal sales analysis presentation. While the graphical layout will stay longer in the minds of the audience. 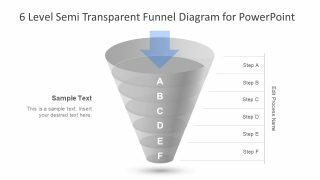 The amazing 6 Level Semi Transparent Funnel Diagram for PowerPoint has few more segment variations available in SlideModel. These include 3, 4 and 5 level semi-transparent funnel diagrams. 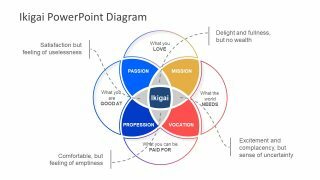 This presentation template has 8 slides where the first 6 highlight all six levels individually by coloring one segment per slide. Further, the slides contain text placeholders against each level and a clipart icon which graphically represents the heading. These are the generic icons which can be used to illustrate diverse terminologies in different contexts. 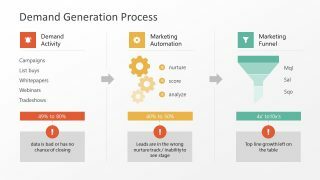 The top level has a wide opening to input data to be processed at each level using different indicators. This way, the data narrows down to specific result by the end of the last stage. The semi transparent funnel diagram simplifies the complex process workflow into a few major stages as an overview for the audience. 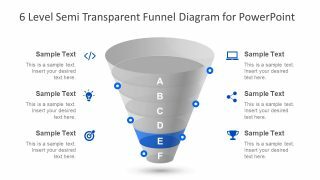 The last two slides are the overview templates where one is clean semi transparent gray design. 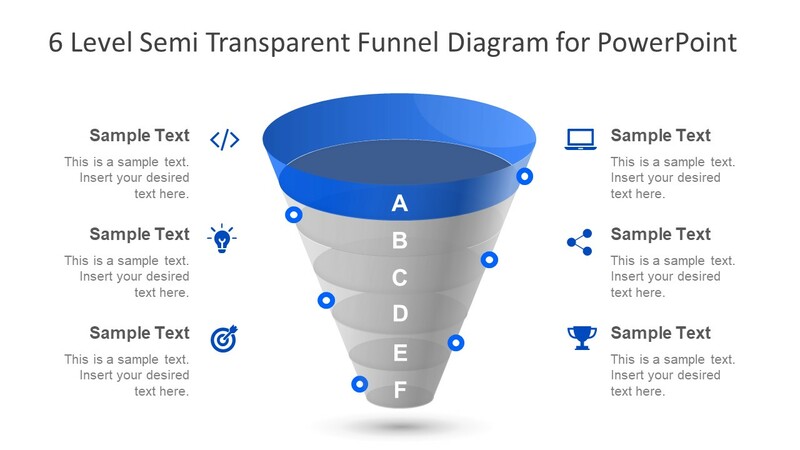 And, the other one shows icons as data input into the funnel chart. 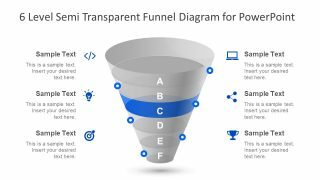 Furthermore, the slides are 100% customizable, enabling users to make changes in the colors, sizes, and text.